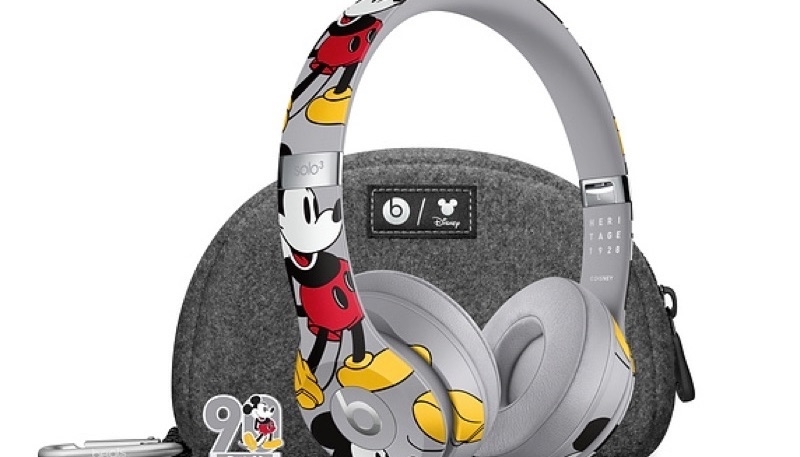 Apple is celebrating the 90th birthday of popular Disney character Mickey Mouse with the release of a pair of special edition Mickey Mouse-themed Beats Solo 3 Wireless Headphones. 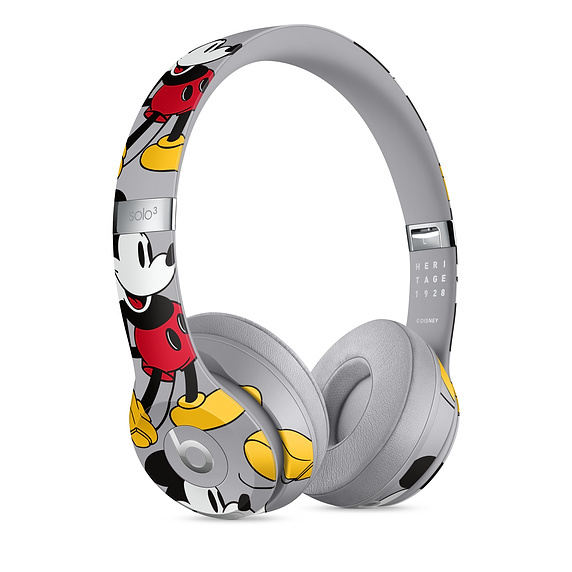 The $329.95 wireless earphones are a medium gray color featuring Mickey in his iconic pose. Also included in the package is a matching gray felt carrying case, a collectible pin, and a decal sticker. 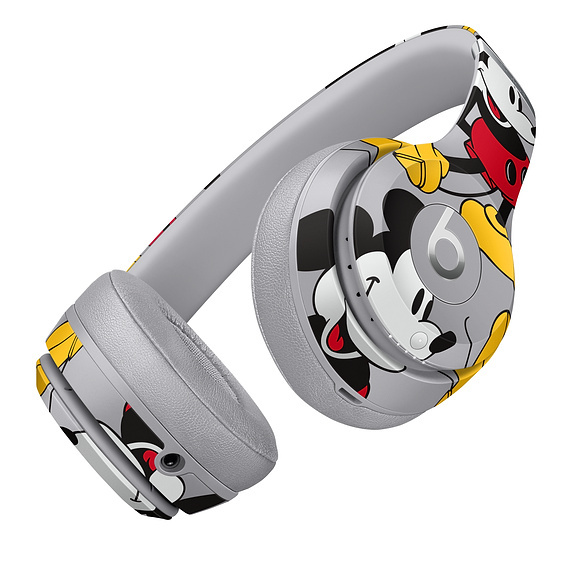 The new headphones are currently listed as “Coming Soon” on the Apple website. Mickey Mouse is the mascot of The Walt Disney Company. He was created by Walt Disney and Ub Iwerks at the Walt Disney Studios in 1928. An anthropomorphic mouse who typically wears red shorts, large yellow shoes, and white gloves, Mickey is one of the world’s most recognizable characters. The character made his first appearance in the short Plane Crazy, debuting publicly in the short film Steamboat Willie (1928), one of the first sound cartoons. He went on to appear in over 130 films, including both short subjects and feature films.